We’ve been talking a big game lately about change and complexity and the overwhelming importance of doing things differently, and that’s OK. In a profession full of late adopters, talking is usually the first step. Thankfully, though, some folks have decided to skip the talking bit and have gone straight for the innovation. As an example, I give you Xero. It’s billed as accounting software, but to the folks who work there, Xero is all about solving problems — making CPAs more productive, making their clients more successful, and improving everyone’s lives along the way. The way they do that is turning heads. 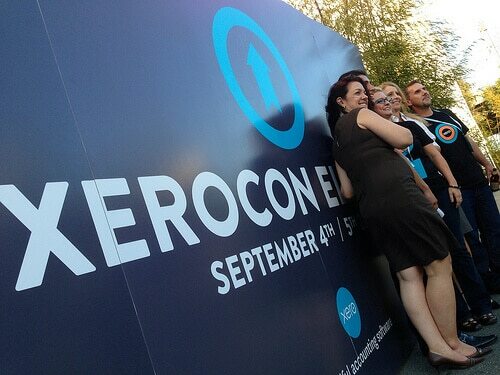 I hung out with the Xero team for a few days recently during their first Xerocon US conference in San Francisco. Talk about mind-blowing. Their live demos of software enhancements brought spontaneous cheers and applause from the crowd. When’s the last time you’ve seen that? And we’re not talking about mere tax and accounting software here. Xero and its partners tackle everything from payroll, HR, billing and expenses to document management, financial reporting and budgets — and a bunch of other stuff in between. “The days of CPAs as scorekeepers are over. But the biggest punch in the gut came from Philip Fierlinger, Xero’s co-founder and head of design. Shouldn’t that be everybody’s job? It’s a social world, friends, and social business means serving people and solving problems. It means making people smile. Do you look at your job that way? Would you be more successful if you did? Look, I don’t care what accounting software you use. What Xero is doing is good for everybody. They’re pushing the envelope, and that’s forcing others to push it, too. Competition forces vendors to try radical techniques to improve their services. You know who wins when that happens? You do. So do your clients. What are you doing to push that envelope — to make people smile?